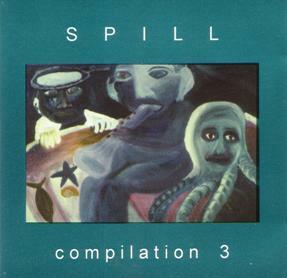 During the 1990s we produced the "Spill" series of compilations to highlight independent music being made in different parts of Australia. Now these are interesting historical snapshots of a time when the focus of Australian music was shifting from Sydney to Melbourne - and St Kilda to Fitzroy - and DIY musicians around the world were discovering each other and collaborating. These collections were deliberately non-genre-specific as we think it's wise to recognize that good (and bad) is done in every music style. The physical copies ran out long ago so we've converted them to mp3 and made them available here. All songs are owned by the artists listed, except when they are covers. Think of this as equivalent to the Attribution Non-Commercial No Derivatives licence provided by creativecommons.org, that is, you may feel free to download, play and share these songs, as long as you credit the artist - but please don't modify or sell them without contacting the artist for permission. Spill helped compile and release these theme compilations - they are available for download also, same rules as above.